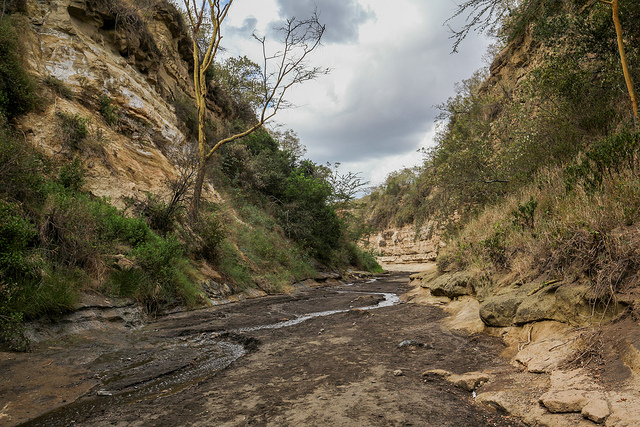 Hells Gate National Park in Kenya is located about 120km from its capital city, Nairobi. The area is not known for wildlife, even though some reside here. 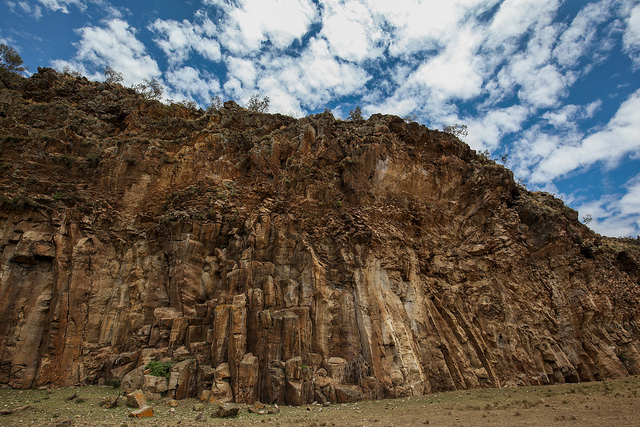 It is best known for its unique geological features. If you find yourself in Nairobi, this place is well worth the trip. 1: This is the view near the entrance to the park. 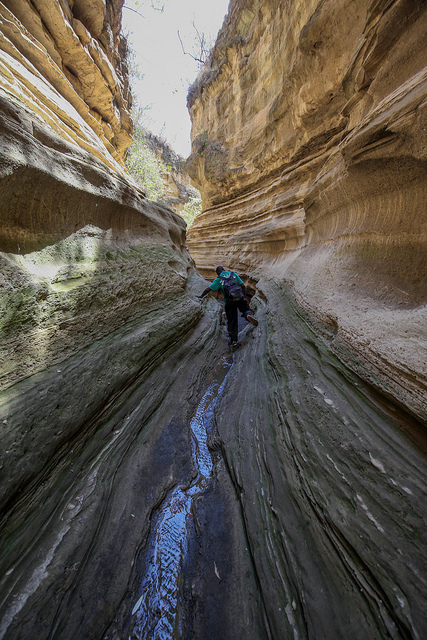 The gap between the cliffs, Hell’s Gate, is where the park gets its name. 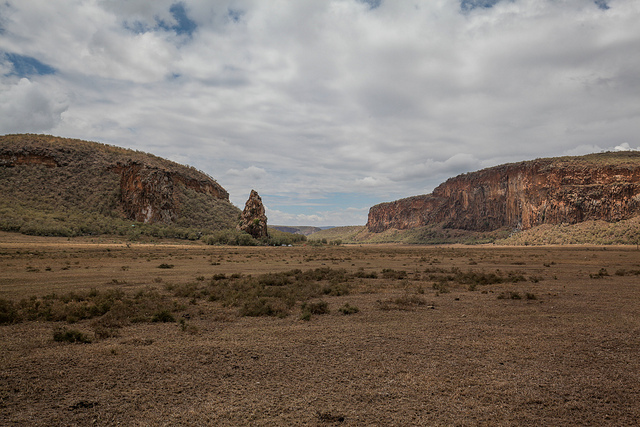 The lava tower located between the cliffs is called Fischers tower, a popular target for rock climbers. 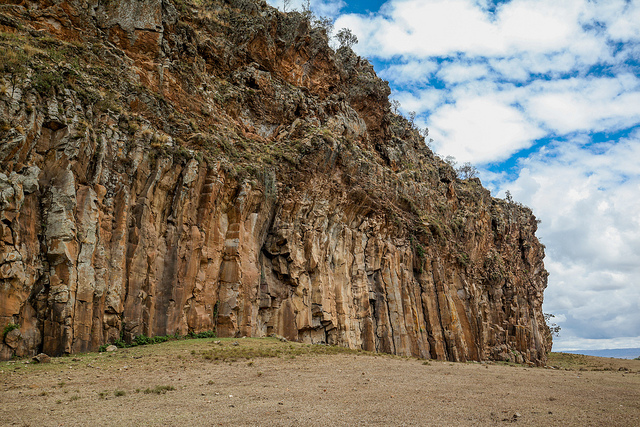 2 – 3: The geological rock formations along the cliff face are quite striking, almost resembling a series of square columns rammed together. 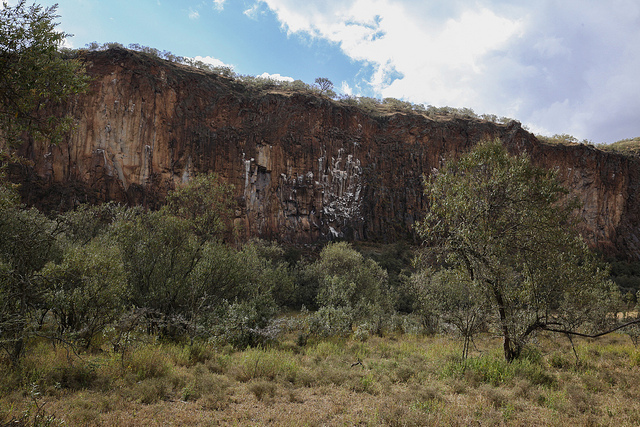 4: The cliff face here is stained white from the droppings of the resident vulture population. 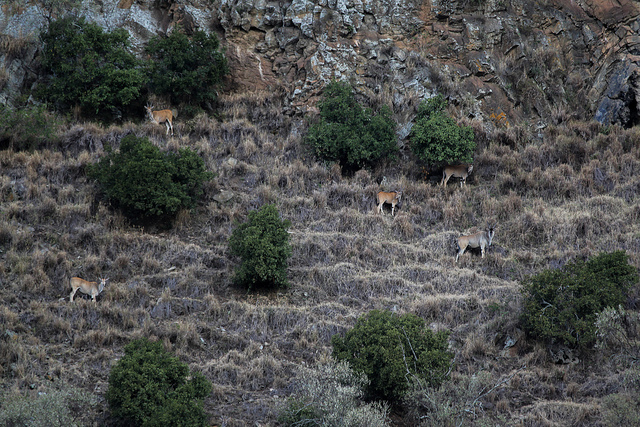 5: These sure footed elands take notice of me from a less steep area of the cliffs. This area is still quite steep, and these common elands are the second largest of all antelope species. They can weigh up to a ton, so seeing them adeptly walk across the narrow slopes is a thing to watch. 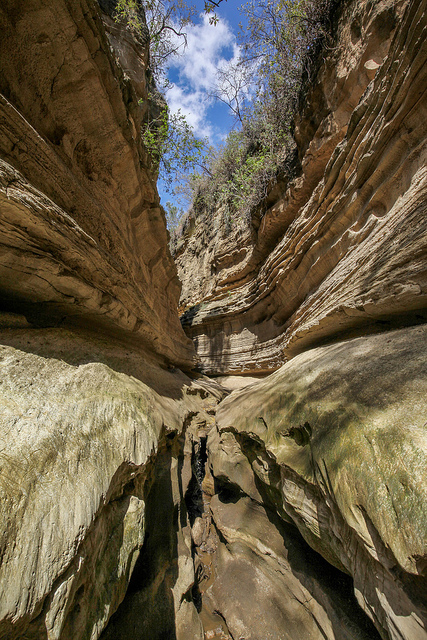 6: Farther down, an entrance to the lower gorge emerges. I had no idea at the time, but we’d be descending down with the help of an old rope. 7: At places it got very narrow and tricky to traverse. You can also see from the green tint in the rock, it could also get slippery with moss. 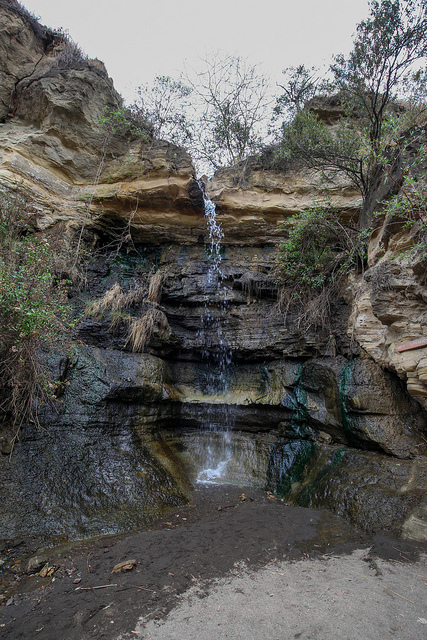 9: The area is still geothermically active, these falls were quite warm when touching the water. 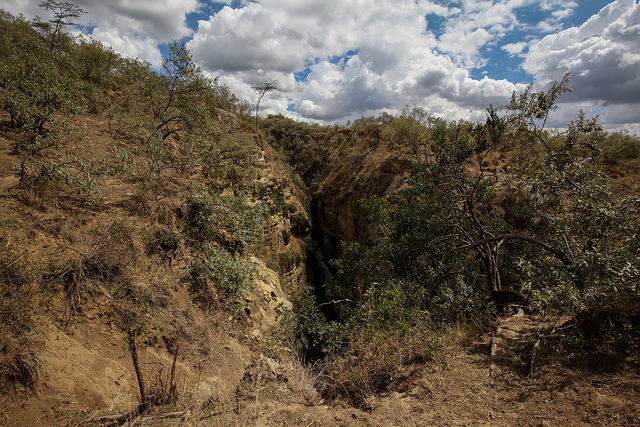 10: Towards the end of the journey down the ravine, the gap widened quite significantly. During the wet season, this area can get inundated with water and can become quite dangerous. If you decide to visit this amazing place, I highly recommend https://www.naturaltoursandsafaris.com. They really go above and beyond to help you with your goals.